The U.S. Treasury announced that it was blacklisting 25 individuals and entities, including front companies located in Iran, Turkey, and the United Arab Emirates (UAE), associated with Iran’s Islamic Revolutionary Guard Corps (IRGC) and the Ministry of Defence and Armed Forces Logistics (MODAFL). The IRCG remains Iran’s most important powerful security organization and controls vast swathes of the Iranian economy and yields massive influence over the country’s political system. The sanctions are designed to lock those responsible out of the global financial system by prohibiting both American citizens and businesses from dealing with them in any financial capacity. 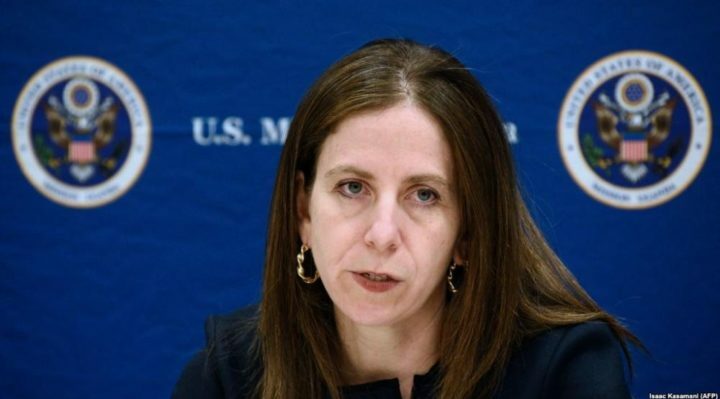 Treasury Under Secretary for Terrorism and Financial Intelligence Sigal Mandelker also explained that “Specifically our action targeted a total of 25 Iran, UAE and Turkey based entities and individuals and exposed an extensive sanctions evasion scheme established by the Iranian regime. Central to this network is the IRGC controlled Ansar Bank and its wholly owned currency exchange arm Ansar Exchange. Notably, Ansar Bank was previously designated in 2010 for providing financial services to the IRGC, and as we describe in our press release, Ansar Bank also provides financial services to the IRGC Quds Force including salaries to IRGC Quds Force officials and is also used by IRGC Quds Force to pay its foreign fighters, particularly those in Syria. U/S Mandelker: Thank you so much, As was already mentioned, I’m here in Kuala Lumpur, Malaysia on a three-country trip. We’re also going to Singapore and to India with a very heavy focus on the maximum pressure campaign against Iran as well as other illicit finance issues. In fact coinciding with my trip this week we’ve taken two actions related to Iran. Very specifically, yesterday, March 26th, OFAC took action, as was already mentioned, against a vast network of Iran, UAE and Turkey based front companies that one, procured and transferred over a billion dollars and euros to the Islamic Revolutionary Guard Corps, IRGC, and to Iran’s Ministry of Defense and Armed Forces Logistics, MODAFL, and that also procured millions of dollars’ worth of vehicles for MODAFL, again, Iran’s Ministry of Defense. Specifically our action targeted a total of 25 Iran, UAE and Turkey based entities and individuals and exposed an extensive sanctions evasion scheme established by the Iranian regime. Central to this network is the IRGC controlled Ansar Bank and its wholly owned currency exchange arm Ansar Exchange. Notably, Ansar Bank was previously designated in 2010 for providing financial services to the IRGC, and as we describe in our press release, Ansar Bank also provides financial services to the IRGC Quds Force including salaries to IRGC Quds Force officials and is also used by IRGC Quds Force to pay its foreign fighters, particularly those in Syria. Our action peels back the layers of deception the Iranian regime uses to traffic in dollars, euros and gold. Specifically Ansar Bank with Ansar Exchange created layers of intermediary entities in the UAE and Turkey to exchange devalued Iranian rials ultimately into dollars and euros in order to line the pockets of the IRGC and MODAFL. The pattern that you see here is consistent with the kinds of deceptive practices and patterns that we’ve exposed numerous times over the past couple of years. Here it’s the use of banks, trading companies and other companies in these countries to move vast amounts of currency, again, for the benefit of IRGC. And as I already mentioned, the Quds Force MODAFL who then exploit these networks to pay foreign fighters and purchase vehicles for the military. This vast network is just the latest example of the Iranian regime’s use of deceptive practices to exploit the global financial system. We also emphasize to the private sector that it’s yet another reason why it’s so important for companies to do extensive, enhanced due diligence when dealing with Iran. This regime intentionally uses layers of intermediaries to cover up ultimate beneficiaries, and companies need to be well aware of those risks and of the steps they need to take to keep themselves from being caught in that web. First, to execute the scheme Ansar Bank, that designated bank, established a network of front companies and intermediary agents in Iran, Turkey and the UAE. Second, Ansar Bank used its wholly owned Iran based exchange broker, Ansar Exchange, to conduct a significant volume of foreign currency exchange services. Again, to the tune of over a billion dollars, using this network of front companies and agents in Iran, Turkey and the UAE to again exchange this devaluated Iranian rial. Third, Ansar Exchange would then provide the currency it received through foreign currency exchange services to IRGC controlled Ansar Bank, MODAFL, and the IRGC. I want to point out here, for those who don’t know more about MODAFL. So MODAFL, among other things, supervises Iran’s development and production of missiles including those used by Iran based Houthis in Yemen against coalition forces. It has also provided logistics support to the Quds Force and its regional proxy groups. So on Tuesday we also sanctioned MODAFL for providing this material support to Iran’s IRGC Quds Force. To be clear, MODAFL had been previously designated under our other authorities, but it is now designated under our terrorism authorities. I would also note that the European Union had also designated both of these entities in 2011 under its nonproliferation sanctions authorities. You’ll find a lot more detail in our press release, again, about how these companies operated and worked. Very significantly here you have all of these trading companies and we provide substantial details about these trading companies, where they were located and how much money some of them had exchanged in the context of this scheme. And also, of course, about the fact that the scheme also resulted in MODAFL being able to procure hundreds of vehicles for the Defense Ministry. So we had two actions I mentioned this week. The other step that we took was on Monday where we provided an update to a Treasury Maritime Advisory that we had first issued in November 2018. This initial advisory was in concert with a vast oil for terror scheme that we exposed and sanctioned which involved Iran’s movement of crude oil, movement of money; it involved Russia and subsidiaries of the Russian Ministry of Energy; and it also involved Syria. We call this an oil for terror scheme in which we saw the transport of Iranian oil to Syria in return for hundreds of millions of dollars to Iran’s terror proxy groups including Hezbollah, Hamas and the Quds Force. When we updated this advisory Monday we highlighted additional risks associated with shipping oil destined for Syrian government owned ports and we also included additional guidance to the private sector on risk mitigation. The advisory specifically describes deceptive shipping practices as well as the risks associated with facilitating the shipment of petroleum, again, destined for Syria. And we also identify a number of risk mitigation measures that companies and governments should be using to help counter those risks. So in terms of the deceptive practices we highlighted, we noted that there’s been falsification of cargo and vessel documents, the disabling of automatic identification systems or AIS, and the changing of vessel names to obfuscate prior illicit activities. Then in the advisory again we recommend a whole number of risk mitigation measures that companies should take. This new iteration of the advisory also includes major updates to the annex in which we added 16 vessels to the list of tankers that have delivered petroleum to Syria since 2016 in total. What we’ve done in the advisory is included more than 30 vessels that have engaged in ship-to-ship transfers of petroleum destined for Syria as well as adding another two vessels which have exported Syrian petroleum. So when putting out this list it is our expectation that companies, ports, governments, will be alert to these ships and engaged in significant action, due diligence, refusal of port entry among other things in the event that the vessels are in fact carrying what we would consider to be illicit shipments of oil. With that, we’ll turn it over to questions. My only final note that I would have about my trip to the region, and really in the various travels that I and many others have taken over the last year is we are seeking always to be fully transparent, to work closely with government counterparts but also be fully transparent about the enforcement of our sanctions. As you know, the Iran pressure campaign is a very significant one with substantial resources dedicated to it. The kind of action that we’ve taken, we took yesterday, is just indicative of the kinds of actions we’ve taken in the past and that we’re going to continue to take in the future to put unprecedented maximum pressure on Iran. Question: you have elaborated on networks and companies and you also underline that you’re working with governments regarding your actions. Could you elaborate on your cooperation with the Turkish government? The Turkish government has been very critical regarding the Iran sanctions. How would you define your cooperation and what are your specific expectations from Ankara? 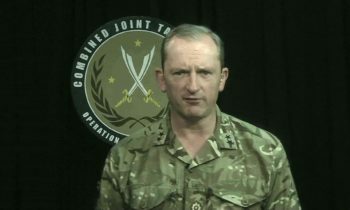 U/S Mandelker: Thank you for the questions. I’m not going to get into details about our discussions with Turkey. Of course, we have had a number of visits to Turkey by Treasury officials and others. We do, for example, cooperate with them on efforts to counter ISIS among other areas. Our message to Turkey is the same as our message to other countries worldwide which is our mandate is to aggressively enforce our sanctions. We do not want to see companies or countries unwittingly, or wittingly of course, caught up in what we believe is a web of deception that the Iranian regime engages in. 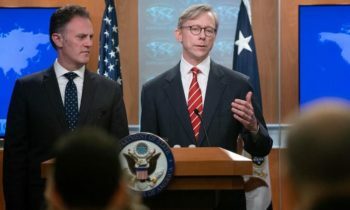 And just as we’ve taken action yesterday where we designated Turkish companies that were involved in this significant currency scheme, so too in the future will we designate other companies that are violating our sanctions and that are providing support to IRGC, the Quds Force, MODAFL and others associated with the Iranian regime and their malign and nefarious activities. Question: Timeframe of the alleged violations by these companies and this network. When did these take place? would these activities be prohibited even under the JCPOA? Or is this solely part of the U.S. sanctions? U/S Mandelker: In terms of the timeframe, we put in some dates in the press release, and I’m just going to refer you to the dates that we put in to that press release. But look, Ansar Bank was designated in 2010. It has continued to be designated. It never came off of our list. And it was designated under authorities that carry secondary sanctions implications. So of course the kind of activity that you see here with the movement of U.S. dollars, of gold, some of those authorities came back into place because the President lifted the nuclear-related sanctions. But independent of that, regardless of that re-imposition, this is the kind of activity that we would have targeted. Again, here you have the movement of money for the benefit of the IRGC, previously designated MODAFL, previously designated under the auspices of Ansar Bank, previously designated through this deceptive web of companies that were used really to obfuscate who the ultimate beneficiaries were. So it’s exactly the kind of activity that we targeted. In fact it’s similar to activity that we targeted pre re-imposition of the sanctions. Question: How will the U.S. protect minorities in Iran? Will the sanctions stop the IRGC from attacking minorities like the Ahvazi people? U/S Mandelker: I would answer that question two different ways. 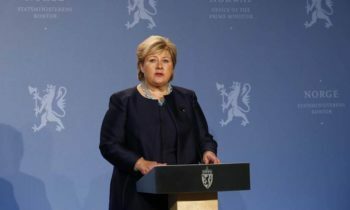 Number one, our actions are not only intended to bring maximum pressure on Iran in connection with the nuclear file, but also to disrupt the ability of the IRGC, IRGC Quds Force to gain access to the funds that they need to continue to carry out their activities. And you’re seeing a lot of pressure from us in that regard. Similarly, as you’ve also seen, we have exposed in a number of our tranches of sanctions, there’s been 25 tranches with over 900 individuals and entities designated since the beginning of this administration. In a number of those we have exposed the grave human rights abuses that this regime is engaging in. Just recently, for example, we took action against the Basij militia which had a network of multi-billion-dollar companies that they were using to fund themselves. Basij, by the way, is directly under the IRGC. The Basij for many, many years has been recruiting, training and sending child soldiers to places like Syria where they go and they fight and they die. And we think it’s extremely important to expose that kind of abhorrent behavior. Similarly, we’ve taken action against entities and individuals in Iran who have been responsible for torturing their citizens. Again, this is a regime that thinks nothing of imprisoning protesters, peaceful protesters. Throwing them in jail in places like the Evin Prison where they’re then tortured. Look, for anybody who’s even considering doing non-sanctionable trade with Iran, they need to appreciate who they’re dealing with and what they may be contributing to by investing in that economy. Because unfortunately, so much of the economy is controlled by the very same people who are exposing and abusing children and others in Iran. So we stand very much with the Iranian people in protest of their government and will continue to take exactly these kinds of actions that expose that behavior and disrupt it. Question: I would also like to know which countries is Iran, for example, I’m sure there are leading sanctions busters in countries which help Iran evade sanctions. Could you elaborate on your findings? Which countries are the most challenging ones for you? U/S Mandelker: What I can say there is you can look at the countries where we’ve designated, for example, other government actors. So Syria would be a prime example where the two countries are working hand in hand to engage in absolutely abhorrent behavior. Obviously we’ve been deeply disturbed by what’s been going on in Yemen with the Houthis. There are many other countries. I’m not going to go into the specifics, but many other countries where we have a very heavy focus and a very heavy concern either about the relationship with the government or alternatively, that the government has been able to expose and abuse vulnerabilities.